Want to be notified of new releases in ericentin/mandelixir? 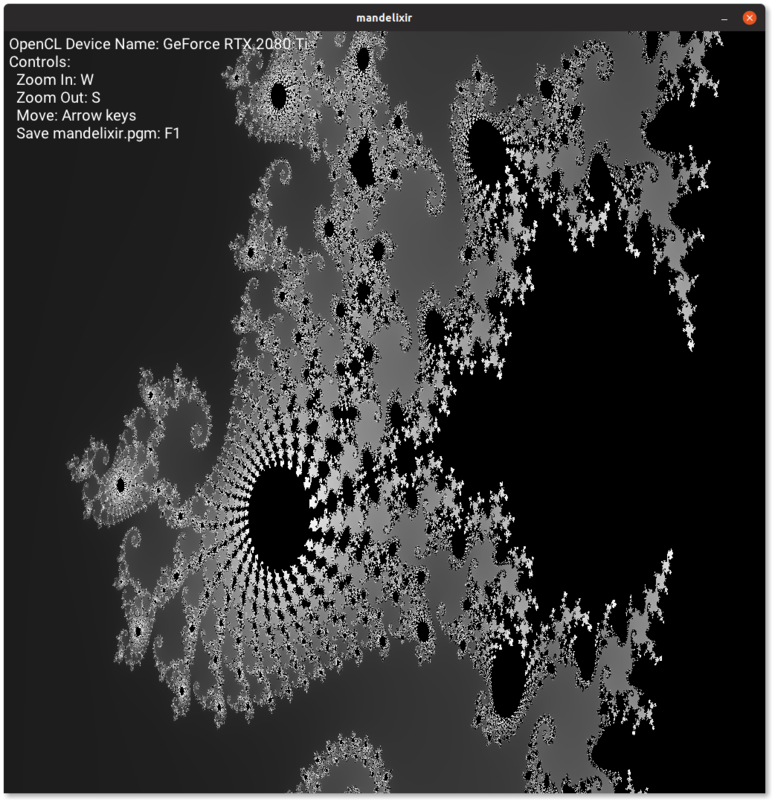 A GPU-boosted Mandelbrot viewer implemented in Elixir, using the Scenic Framework and OpenCL. Just a fun free-time hack. OpenCL makes this possible, without it a naive Elixir implementation renders this same image hundreds of times slower. Interfaces with OpenCL via the https://github.com/tonyrog/cl Erlang OpenCL binding. Install prerequisites for OpenCL. Check https://github.com/tonyrog/cl for more information if you have trouble finding the right packages. On most modern versions of macOS you should be good to go. For ubuntu 18, install the package ocl-icd-opencl-dev, at least, plus any packages for your OpenCL-capable device! Please open an issue if you think it should work and it doesn't, I'm interested in discovering more about how different OSes handle this. Thanks!